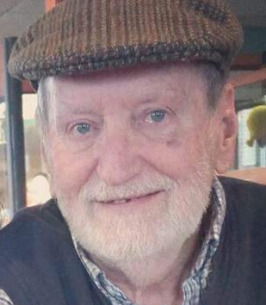 "Love u with all my heart and miss u. I will meet u someday so enjoy ur time with ur mom n dad"
Obituary for Clay V. Burford Jr.
Clay V. Burford Jr., 78 of Ashland passed away, Friday, September 28, 2018 in his home. Following his high school graduation, Clay proudly served in the United States Army. He married the former Linda M. Devore on June 16, 1995. Clay retired after more than 30 years as Truck Driver in 2005. He was also employed for the Ashland Times-Gazette and Bank One for many years. Throughout his life, Clay never met a stranger. Being a very social person, Clay was a past member of the AMVETS, VFW, American Legion, Eagles Club, Rotary Club of Ashland, and the Jaycees. He enjoyed bowling and camping with his family. He is survived by his devoted wife of 23 years, Linda Burford of Ashland; one daughter, Kayla (Steven) Viola of Ashland; four brothers, Jessie (Helen) Burford, David (Ruth) Burford, Sherman (Paula) Burford, and Jerry Burford; and four sisters, Mary Lou Warren, Frances West, Sally Jackenheimer, and Christine (Gary) Mender. In addition to his parents, Clay is preceded in death by his first wife, Nancy Boyer Burford; two sisters, Sue Burford and Nora Rothermel; and one brother, John Burford. Interment will be in Ohio Western Reserve National Cemetery. A memorial service will be held at a later date. To send flowers to the family of Clay V. Burford Jr., please visit our Heartfelt Sympathies Store. We encourage you to share any memorable photos or stories about Clay. All tributes placed on and purchased through this memorial website will remain on in perpetuity for future generations. Clay was preceded in death by his first wife, Nancy Boyer Buford, and his first daughter, Karen Collins. He is survived by his daughters, Mary Flury and Jen Burford, granddaughter, Rebekah (Jason) Hershiser, and great grandson, Dylan.